Gunbroker has an interesting flare gun/line thrower for auction. 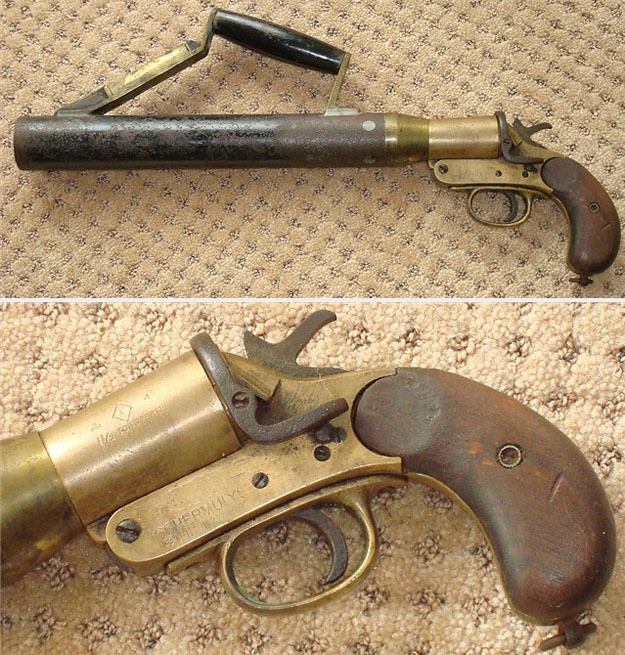 Built by Schermuly in the 20's, this gun was based on a flare pistol, and included an extended barrel which would accept a rocket attached to a steel line, which was then attached to a rope. 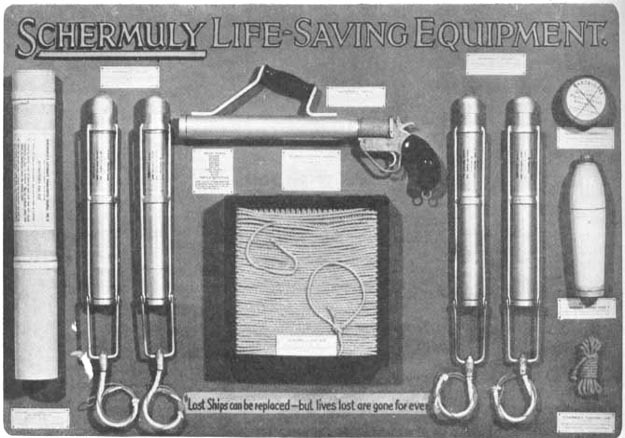 This rope could then be fired over the heads of distressed sailors in the water for rescue purposes, or fired at another ship, to attach bigger lines to be hauled back to the originating ship. These flare gun based launchers replaced purpose built cannon and rockets used earlier. William Schermuly's previous line throwing inventions were pretty bulky and he wanted to perfect a device which a child could use. The flare gun launcher fit the bill. His invention was usually ignored by the Admiralty, but by 1922 was used by 22 leading shipping lines. Buy now price is $500 US. Steven Johnson has a page on William Schermuly and his inventions.